crystal.io, the first virtual advisor for digital marketing and social media collaboration, has announced that it is one of the first artificial intelligence (AI) tools to partner with human intelligence platform – DataSift. The new collaboration will integrate PYLON for LinkedIn Engagement Insights into its all-new Listening feature. The offering provides marketers with an instant competitive edge when it comes to marketing activities on the world’s largest online professional network. LinkedIn Engagement Insights, provided by Human Data Intelligence provider DataSift, gives access to aggregated professional data from the world’s largest online professional network, helping digital marketers to dig deeper into their audience, content and engagement insights while respecting LinkedIn members’ privacy. By partnering with DataSift, crystal.io will deliver customers the capability to analyze more than 130 analysis attributes, including member and company demographics, topics and entities, links, and engagements around likes, comments, and shares. crystal is the first AI-powered advisor answering users’ digital marketing related questions in real-time with smart and actionable insights. The new AI-based digital marketing tool currently completes its offering with the web, social and campaign analytics, management, and teamwork. 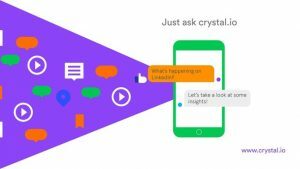 The integration of privacy-first LinkedIn Engagement Insights on crystal will result in a new Listening feature, providing more than 1,000 actionable KPIs covering all industry verticals and countries. It will be available for Premium and Enterprise users starting this June. The new Listening feature will provide the insights to optimize digital strategy on LinkedIn for more than 500 million professionals currently active on the world’s largest online professional network. 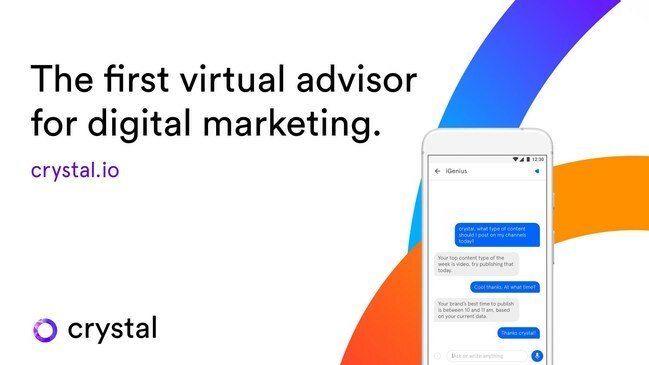 crystal’s AI-powered advisor platform does more than what modern-day intelligent assistants do. It learns by doing, improving performance by interacting with the data. The platform is built on Google Cloud Platform and is capable of filtering awkward talks using NLP/Machine learning algorithms. Together with DataSift, crystal.io platform will add more automated human intelligence into predictive analytics, web and social measurements, speech collaborations, and content marketing.